I woke up this morning feeling a little better about my choices last night at the restaurant. I still wish I had stuck with my plan, but I am glad that I at least accounted for the extra food I ate and calculated the points in it. And it wasn't a binge! My knee hasn't given me any problems, but again, I decided to stop if it started hurting at all. 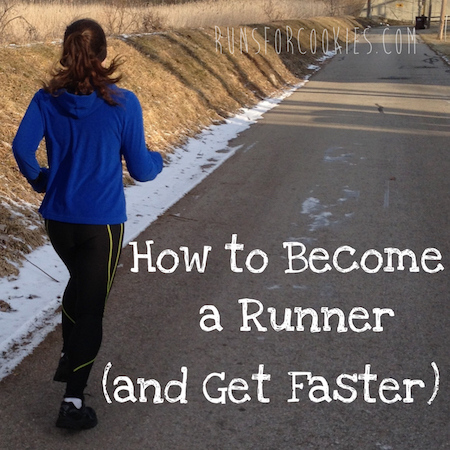 As soon as I started the first tempo interval, I was tempted to take the speed down to 6.5; but I knew I was just being a baby, and that 7.0 was was a good tempo pace for me. So I sucked it up and did all of the intervals at 7.0. I started to feel a little twinge in my knee after my last interval, so I called it quits instead of doing the 10 minutes at an easy pace. I haven't gotten to the point of actual pain--it's just a weird tight feeling that I can tell it will be painful if I keep running on it. So I'm going to take it easy (like I have been) and hopefully it won't get to the point of injury like it did last time when I ran through the pain. Look how close I am to 2,000 miles total! I'm pretty excited that I'll hit 1,000 miles this year, too. Running a thousand miles in a year is an (unofficial) goal of mine. That huge purple/blue thing is the person's stomach! I had no idea that a stomach could get so big. He said the intestines were basically suffocated from being crushed by the size of the stomach. The person actually died from a binge episode. That is VERY scary. I'm absolutely terrified of posting what I'm about to post, but I think it may give some hope to people who have binge eating disorder. I am going to share an embarrassing journal entry from April 14, 2008--I wrote a tell-all, no-secrets entry about my binge eating. It's one of the most honest things I've ever written, and it makes me feel so ashamed when I read it. Every single night that I go to bed feeling full, I make promises to myself that I'm going to "do good" on the diet tomorrow and lose weight. I plan in my head how I'm going to do it--counting points or calories, or eating only when I'm hungry, or just eating healthy. I go to bed disgusted with myself for being such a pig. Lately I've noticed just how bad my food addiction has gotten. And it truly is an addiction. It has interfered with my life in ways that are totally embarrassing. I probably think about food 99% of the day. I even dream about it. When I wake up, I think about what I'm going to eat first. When I'm eating, I'm thinking about what I'm going to eat next. And the worst part is (this is the embarrassing part that I've never told anyone) that this affects the type of mom I am. I honestly LOOK FORWARD to my kids going to bed (naptime and bedtime) so that I can binge. I even rush them into napping and the second they lie down, I rush to the kitchen to grab food to binge on in front of the TV. I even find myself getting mad at my kids if they don't fall asleep right away or if they wake up early, because it ends my binge. I've also been hiding food lately. I know that I can "safely" binge in front of my husband, but I'm embarrassed about it now. If I think I hear him wake up while I'm eating (he works nights, so he sleeps during the day), then I'll hurry up and hide the food I'm eating. I'll hide wrappers in the bottom of the trash so that he doesn't see it. I've been using my kids as an excuse to binge, too. I'll tell my husband that the kids want pizza for dinner or something, which is a big binge food for me. Or fast food. Or I'll make cookies "to spend time with the kids" and then eat the whole batch. I wish I could be satisfied with just a small amount of something, but I get this urge to fill my mouth, chew really fast and swallow over and over again. And as much as my stomach hurts afterwards, I crave that full feeling in my stomach. When I even think about restricting food, I get very anxious. Another thing I do is plan out binges in my head. I'll think about what I'm going to eat and then I just have to wait for the appropriate time (usually when the kids are asleep). Once I've decided when I'm going to binge and on what, I get anxious--wanting to just do it now. It's like I can't do it fast enough. During the binge itself, I just keep thinking, "Okay, what else can I eat?" and I eat until I'm so full I can't stand it. Afterwards, I get pissed at myself for doing it, and make promises to myself not to do it again. Then later, I think "Well, I already binged once today, I might as well do it again". I know what I'm doing could have serious consequences for me and my family, and I want to fix this. I just don't know how. Revealing those secrets was one of the hardest things I've ever done. Reading that just makes me feel awful; but I am also very proud of myself for overcoming it. I saw what it was doing to me as a mother, and doing to my family, and I changed it. 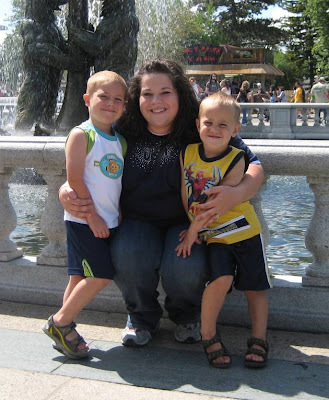 The main reason I changed my lifestyle was because I wanted to be a better mom to my boys. Getting over the binge eating wasn't easy by any means. I had to learn other ways to relax and relieve anxiety. And even now, sometimes my methods don't work, and I'll binge--but even the binges are different post-weight loss. I'm not secretive about it anymore, I don't buy the crappy binge food I used to, and I don't do it nearly as often as I used to. I am constantly thinking about what's best for my kids, and how I can be a good role model for them. Anyway, posting this is extremely hard for me, so please be kind ;) I just want others who may be binge eaters to see that it IS possible to get better. It takes a lot of determination, but it's worth it! I am actually proud of the example I set for my kids now. Hmmm..how do you define a binger? I dont think I am one...but maybe? I overeat at every meal somedays..but that is different than binging? Or not? Anyways, dont kick your past...it brought you today! And today is good! Thank you for being so honest and sharing such a hard time in your life. I don't have binge eating disorder, but I have binged before, so I can relate to the feeling, and your entry was perfectly accurate. You shouldn't be ashamed to post that - you should be proud for changing your life the way you have. You're a totally different person now as well as an inspiration! I wondered if you watched today. I liked how Dr. Oz pointed out on the cadaver the person was actually thin-binging happens to lots of sizes. It was heart breaking. I don't binge, but I can relate with wanting the kids to go to bed so you can eat. I always say it's so I can sit and enjoy my food. But I can see how it could easily be a slippery slope, planning the food, anticipating. Thank you for your honesty Katie! I grew up with parents who made a huge effort to make health/fitness a priority, even when their lives were busy and when times were hard. Now, in my twenties, I think of times when my dad would come home from 12-hour days at work, exhausted, and still put on his running shoes to get a run in before dinner. These memories inspire me to stay healthy even when it's so hard. Anyway, my point is, the changes you've made in your life will stick with your kids for the rest of their lives. They don't know it now, but they'll look back to you for inspiration. Never doubt the effect you'll have on them, and never give up on your new lifestyle! Thanks for posting about this...we all have our battles. That is sooooo true! Thanks for pointing that out-to all of us! I can totally relate to your post - I inhale food so fast that I dont even taste it I just stuff my face over and over and over again - it is a real problem that so many people dont understand.. I was bulimic for many years and many of the things you described were similar to how I felt although I knew it would all go away and it didn't matter what I ate. But the shame and the self loathing was still there even though the calories didn't stick around. Thanks for the honest post, it's good to be able to talk about these issues. Love your blog, I look forward to reading every night. THANK YOU SO MUCH FOR WRITING THIS POST!!! You have no idea how helpful it is and how encouraging it is to me and my journey to a healthier lifestyle. Ive never really come out to anyone about being a binge eater (didn't even know it was a type of disorder til i began to read your blog these past 3 months) and so i don't have much of a support system. So at this point you're all the support and encouragement i have. Thank you so SO much!!!! Dont feel awful! I have binged in the past as well and felt the exact same things you wrote. I wish I would have taped Dr Oz! Thank you for being so honest Katie. I really and truly believe that some people are addicted to food. It's not a matter of just not stopping the overeating. I know that I have those certain foods that are so difficult to control myself around. My binges were pretty much always in the open, but I felt shame about them, especially if I had gone through a whole box of cereal in one sitting. That was incredibly brave to post! I can definitely relate to you in so many ways! Girl, thank you for the "realness" of this post. I'm currently struggling with my binge behavior...and it feels awful to feel out of control. The moment I take that first bite, I am screwed the rest of the day, into days at a time. It's so hard, and I'm so proud of you for over coming it, eventhough you know you'll always have to keep tabs on yourself. Great job Katie! Thank you Thank you Thank you! And you totally just saved me from binging tonight! That post sounds very familiar to me... Last night I swore it was the "last time". An I made my first goal to be binge free for 7 days... So now I will enjoy my planned glass of wine and remember WHY I want to lose weight (to be a better Mom and wife is reason #1). What is the definition of a binge eater? Oh my gosh... that picture of the stomach from the autopsy really did it for me. That is terrifying. I've only had one binge since I revamped my lifestyle, but no more. The next time I want to binge, I'll just picture that stomach. I never thought someone could die from binging. I figured you'd just throw up first. I don't think you should ever be shameful of your past. It is what has shaped you into the person you are today. Kudos for putting it out there, sharing, and trying to learn. Keep up the great work; I find you inspiring, even though I was never a binger. Thank you so much for sharing this. I can absolutely relate to all of this. 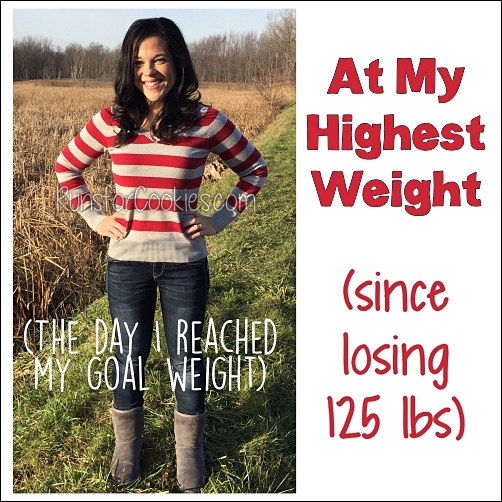 All my life, when I was overweight, I overate often, but I didn't experience actual binge episodes until I had started losing weight through calorie counting and was nearing my goal weight. I don't know if it was fear of reaching my goal, not feeling like I was worth reaching that goal, or backlash from six months of deprivation (even though I didn't feel deprived in those first 6 months of calorie counting, it felt easy), but I started to binge and experience all of these thoughts and feelings you wrote about here. Right now I'm taking a break from calorie counting and weighing myself, and hoping that will help adjust my attitude towards food. I am focusing on eating three filling meals a day consisting of very healthy, nutritious food, and trying not to snack at all. It's difficult giving up control - I feel like logging everything I ate and constantly tracking my progress was what made me successful with my weight loss the first time around. But the binge episodes have been fewer and further between and not as severe lately. I don't expect to lose much weight in the immediate future, but if I can get the binging under control, I'll be happy. I think your honesty is a great thing, you are helping so many people by putting it out there. Your story is very touching, and you should be proud of the person you are now. We all have our days that aren't as good as others and sometimes we just need a little perspective. Great post. I relate so much to your binge diary entry. I have the exact same thoughts and processes and have not heard any one echo the exact sentiments before. In a very frank conversation with my husband, I said almost verbatim what you wrote. I've lost 50 pounds and have a bit more to go, but reading this really motivates me to seek change within myself. Thank you for exposing so much of yourself. Great post. You are such an amazing writer!!! Thank you so much for your candor. Although I don't suffer from binge eating disorder, I do have issues with food and your honesty was just what I needed to hear tonight. I completely identify with lying in bed after yet another failed day and planning what I'm going to do the next day, only to spend the next day thinking about food. I'm at the beginning of what I am determined will be my final and successful attempt to regain control over my life and health and I really appreciate what you're doing. Thank you Katie for posting this! You have honestly impacted my life through this blog with posts like this. I have felt those same emotions and the binge eating affected my life in all aspects. Unfortunately I'm not as recovered as you and everyday is still a struggle but I definitely see myself getting stronger. please don't be ashamed of what you wrote!!! What you wrote has stopped one of my binges in its track! I am sitting here at home and all i can think about is food! I keep mentally checking off what's in my cupboards thinking what can i eat next. I've been thinking about it all evening...counting the minutes that my mom who's visiting will go to bed so i can sneak in to the kitchen to grab something. I am 34 and still sneaking food in my own home from my mom. I have battled binge eating since i was a kid. I have lost 70lbs but am stuck because i keep having these binge episodes which have caused me to plateau. anyways...tonight i managed to eat a bagel thin with nutella and 2 weight watchers string cheese and then i checked your blog...and BAM! Your post got me thinking and i stopped eating. so a very huge thank you to you for your honesty and courage to share such intimate emotions and experiences! Katie, how do you determine "what's on your schedule" to run? Are you following a Hal Higdon schedule or did you make it up? I'm trying to train for a half-marathon in November, but I chose the novice Hal Higdon half marathon program, and it just says to run 8 miles one day, 5 miles, the next, and then 3 miles the next, etc. I'm almost at the end of it and am wondering where to go next! I have been reading your blog for awhile, and have started running and lost weight recently with the changes I've made. Your blog and reading about your journey is inspiring, posting what you posted must be scary but that is why people like reading. Keep doing what your doing. You truely sound like an amazing mom too! Thank you so much for posting this. I know how hard that had to have been for you. I can relate to that feeling on so many levels. We've had to recently start planning our high cal days because we were starting to eat a little bit of everything and then add up the calories afterward and go "holy crap!" There's nothing worse than that feeling of going to bed so full or worse, wake up because your food is trying to come back up when you're laying flat and then you have to prop yourself up. Ugh, those were fun times...not. Thank you for sharing and being so honest. Food is such a battle. You've done such a great job of changing your life. I wished I had taped today's show but I will find it online. And your two little Tiger's are always going to be so proud of all you've accomplished! Thanks for your Honesty today! I really needed to read this tonight. I too have had a problem with binging and have recently (re)started on my own weight loss journey and tonight I was so close to ordering in chinese that i put the menu on the coffee table and stared at it for an hour. Thank you... i've put it safely away in the drawer for the rest of the girls in the dorm. you are an inspiration. know that. you are. Katie, You have nothing to be ashamed about - look how far you've come! You inspire me more and more everyday! Thank you so much for posting this. I feel like lately, although I am trying to get on track with exercising and doing the C25K program currently that binge eating is definitely my problem. I have 2 little girls and hide my bingeing from my husband all the time. Lately, he must be noticing because he has said stuff to me lately and it has hurt my feelings, but maybe I just need to realize he is telling the truth! 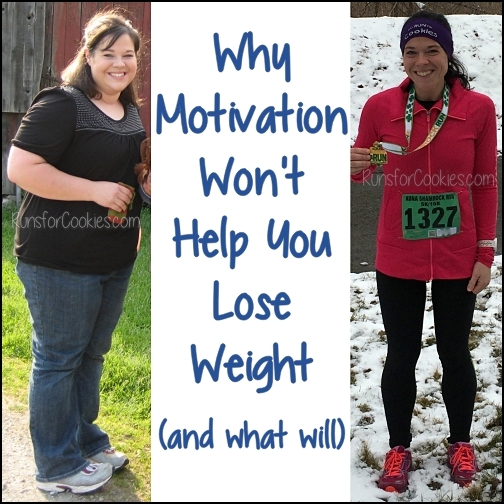 I am so grateful for this post because now I know I'm not the only one and can hopefully tackle this so I can reach my weight loss goals! I read your blog every day, even though I almost never comment. It was so brave of you to post something so personal, and I am so impressed over and over again by your drive and how much you have accomplished. Thanks for always being so real for your readers. I was the anon who said that I "suffer from binge eating disorder." Well, after rereading this post and the comments, I have decided that I have a big problem with binging that I just have never realized/addressed. So further thanks for helping me to be more honest with myself and for giving me the tools to fight this. Have you read the book, Brain over Binge? Life changing! Somehow I knew there would already be an enormous amount of comments by the time I finished reading this post. Katie, what you did here tonight, by allowing us into your most personal, private and emotional thoughts, is not only brave but incredible. Thank you. I also suffer from binge eating and it's newly diagnosed. Dealing with an ED (or any type of addiction for that matter) is so different for every person but the gist of it is always the same-a feeling of having no control over the food. I, too, feel like I have no power against my urges and hearing such a truthful account from you makes me realize I'm not alone in my struggles. You are one amazing mom for putting your family first. You should be so proud of yourself. Thanks so much for being brave enough to post this. I don't eat until I'm stuffed, I just eat bad things. What you said about planning a binge then getting mad when you can't really hit home. I plan to have something bad when I run errands. I have gotten mad at my husband and daughter for wanting to go with me because I couldn't have the treat I wanted. That could easily be a page from my own diary. Thank you so much for posting this. It helps when you don't feel so alone when you are caught in such a lonely addiction. I'm a longtime reader, but this is my first time commenting. Thank you for this post, Katie. Right now, I'm living the life that you lived then. I want so much to change for my girls (9 & 12), for my husband, and for myself, of course, but I continue to struggle.....a 15 year struggle. This journey often seems hopeless, but you just gave me hope. Thank you. Katie, you have made accomplishments many people in this world dream about making. You are an amazing woman and I don't believe anyone would look down on you for overcoming your disease. Stay strong and keep pushing forward. WOW! I could have written this entry myself! I can remember cooking yummy comfort foods (that I knew my small children would not eat) just so I could eat it all after they were in bed, I would lie in bed every night hating myself promising to change. I never thought I was "binge eating" because it was a daily thing. Thanks for sharing this! Ditto. Charlie went to bed early because he worked nights, so everyone would be out cold and I'd raid the cabinets, watching tv until 1 or 2am. I tried to hide the containers and wrappers, but it all showed on me. I definitely can't eat the way I used to, but I still struggle with "bad" foods. Katie! I appreciated this post so much. Just know that you aren't alone and during my biggest binges, I did similar things to what you described. It's when binging becomes every day life that it's a scary situation. I love your honesty. I wish I would have DVR'd Dr Oz! Thank you for the post. It was very brave of you to put yourself out there like that! I just wanted to tell you, because I have been reading you for such a long time... opendiary is were it all started :), that you have blossomed so much as a woman and mother. You have overcome so many hurdles. You are such an inspiration to so many people. Did you ever think you would become the inspiration that you are today for so many women? That was the most honest blog entry about binge eating I've read. It must have taken loads of courage! I related to every single word you wrote! I was a young mom too and my daughter sometimes even caught me throwing up- self-induced. She was too young to understand but it did scare her. My binge habits were so bad back then I would binge and throw up 15 times a day! It took 10 years to get to a place where I rarely binge (maybe once every 3 or 4 months)but I still struggle to overcome the need to calm down the beast inside me (anxiety, depression, anger, frustration) with food. Exercise has proved to be a great ally, but some times you just can't exercise right when you need it. I resource to water then. But it is still a struggle. Thanks SO MUCH for your post!!!!! Thank you for sharing that. With the exception of the part about your kids (I don't have kids)I could have written that entry and it comforting to know that I am not the only one. I have always *known* I was not the only one but to read from someone in detail the thoughts that were going through my head and to see how far you have come makes it all seem better somehow. I still binge sometimes but like you wrote they are not as often and not "as bad". I would sit up bingeing while watching (and ordering) exercise equipment or diets from late night infomercials because tomorrow was always going to be different. Thank you for sharing! You've come such a long way. I don't binge, but I have some similar behavior to yours. I very much think about food. I think about what I'm eating for each meal. I'm thinking about when I can eat next. I hate that food consumes my thoughts. I lost 70 lbs and I still have more to lose, but even now as I'm maintaining this loss I focus on food quite a lot. I do not like that. I don't binge on a ton of food, but I certainly have my moments where I stuff my face with things I shouldn't. I truly wish I could figure out how to drive food out of my head! Maintenance becomes a struggle when I always think about eating. I very much envy the skinny chicks that can eat without thinking. Katie I see you already have tons of responses to your very honest and heartfelt post. Like you, every night in bed I used to plan my diet which was going to start the very next day! Only I never followed through. I didn't binge so much as just ate constantly. I never allowed myself to feel a hunger pang because of my constant grazing. Food tastes so much better now that I actually get hungry! I started on my journey too late to help me be a better mom.But I think it's helped me be a better GRANDmom! Like you, I would try to hide my eating from my boys and from my husband. Now that my boys are grown up, I hope they don't have too many ill effects from the fat mom I was to them. I take pride in the fact that my grandchildren will not even remember me as a fat person. My youngest son never knew me as anything but FAT, until I lost weight, and he's 26 years old! I'm sure my middle son has only vague memories of a mom who was normal sized for about 5 minutes back when he was 3. He's almost 35 now. I still think about food way too much. Right now I'm thinking about my breakfast--a bowl of cereal! I wish I would get over that, but I'm afraid it's just part of my addiction. You have a new obsession--running! Wish I was as dedicated to getting my walking in as you are about your running. You constantly amaze me! Wow, thank you for posting that entry. While I don't have kids and live alone I feel like I could have wrote that myself. I'm currently getting help with it, I want to be better! It's nice to know I'm not the only who thought those thoughts. It's such a dark feeling. Thank you for sharing this and being honest. You have come such a long way and are an inspiration for me. Your family is very blessed to have a mom who is, and wants to, do the right thing. Awesome stuff. Oh, I adore you Katie! I understand and can relate - 100%. I would go to certain foods to deal with certain emotions. I'm proud of you. One thing that is universal in every human being is shame. We all feel it, but it's what we do with it that matters. Having the courage- the strength of heart- to share that diary entry-shatters the shame response. And the shame response is often part of the binge cycle-it leads to more binging and more hiding and more shame. So THANK YOU, Katie. For your bravery and willingness to share. You are an inspiration! I read your post last night and I didn't have the nerve to comment until this morning. You could have been writing about myself. I still get the occasional binges but since I have lost about 80 lbs they are fewer and farther between. Thank you for the honest post. I just recently discovered that I was a compulsive overeater. I don't know if that's necessarily the same as binge eating because I heard somewhere that you have to eat a certain amount of calories in one sitting to be considered a binge eater. One day last week, I ate an entire box of macaroni and cheese, followed by a ginormous bowl (probably 3-4 cups) of Fruit Loops cereal, and then four blueberry waffles with a lot of butter and syrup. It makes me sick to think about it now, but at the time, I didn't care... I had to keep eating... I consider that a binge for sure... Or one day earlier this week, I went to Dairy Queen for a Blizzard. They're running a buy one get one for 99 cents deal so I got two medium blizzards and ate them both the same night. *shrugs* I feel lost right now, but reading you gives me hope that I can come out of this somehow, someday (hopefully soon). Thanks for sharing. I honestly feel like this is a page out of my life. The part about eating as soon as your kids go to bed....I do that. I didn't want to turn my 2 year olds carseat to front facing because I knew I would no longer be able to to go thru the drive thru for ice cream!!! How terrible is that?! I recorded Dr. Oz and stated it this morning while getting ready for work. I can't wait to go home and finish it! I'm so thankful for your blog! You give me hope!!!! Thank you for sharing. After reading this post I realized I also am a binge eater and never realized it until now. I also think that if I messed up once I might as well just do it again that day, then the next.... Until I finally force myself to stop and start eating healthy again and healthy portions. thanks again for your blog and your honesty. That is so heartbreaking to read. Congratulations to you for overcoming this addiction. I watched the Dr OZ episode with my mom, thanks for the Facebook update, and she cried through the whole thing. I believe it helped her understand what I'm going through. I made up my own six week challenge where I don't eat fast food or go to the grocery store by myself. I am 10 days binge free! Thank you for sharing your story. Your blog has helped me understand my food problems. I started my challenge after I read about you giving up pb for six weeks. Thank you. So proud of you! Many of us struggle with the same problem. Thanks for being a great role model for us all! Thank you for writing this.This was me till a few years ago.Has anybody tried acetyl n carnitine.It helped me sleep as well as my night time binges.Gnc is the brand I like best.Keep up the good work. Thank YOu! Thank YOu, for finding the courage to post this. I have been reading your blog for a couple months now, and I immediately connected with it. Through your blog I have recently began to come to terms and recognize my binge disorder. I relate to your post today in so many levels. Thank you for your courage and for sharing your life with us! Katie - Thank you so much for being brave enough to post what you did. I couldn't believe how much I absolutely saw myself in your post. I recognized behavior of my own in each sentence and in my case even something that I am so in denial about. I have 2 boys aged 2 and 5 and I do the exact same thing with their nap and bed times - I'm working on breaking this nasty, nasty habit. I'm so tired of hating myself each night for what I've put myself through during the day - it's exhausting! It gives me so much hope to know that someone else has been there and made it through. Not only that - but you've been so gracious about the whole process and so strong to openly share what I try to keep a dirty secret. You're an inspiration to me! Thank you so much! I looked up the Dr. Oz episode, and I've never been diagnosed as a binge eater.. but when you have it, you KNOW. It's so consuming and full of self hate. I'm so glad to have that behind me and to recognize the signs now! Thanks for the post! Another amazing post! I am not a binge eater but I definitely can relate to a lot of what you wrote. Your description is so vivid and insightful. It really is a portrayal of addiction, not just binging. It is very powerful and you are quite brave to share it. Thank you. Oh Katie, reading your post brought tears to my eyes and chills down my spine. You are such an amazing person - inside and out - and truly so brave. Not just for sharing this with us, but for putting your foot down and making such healthy, positive changes for yourself. It is so inspiring to read about how the things you are doing now make such a positive impact on not just you but everyone around you - including your readers! You know I started blogging because of the inspiration I found on your blog, and that has not changed. I am (once again) committed to getting healthy and fit and can also count on motivation when I come visit you! Thank you for being so wonderful, true, dedicated and REAL. You make me feel like I am not alone. Katie, How have I lived my whole life without knowing about this blog. You are AMAZING!! I just spent the last hour sitting at my computer bawling my eyes out. THANK YOU for your honest posts and for sharing so much. I read your post about your journal entry on April 14 2008. The part about putting your kids to sleep so you can binge and getting upset when they woke up early from naps and ending your "binge-time". My goodness!!! This is me! I lost 90 lbs on WW in 2010 and gained 30 of them back in 2011. I started at 324 and had been that weight for years!! I am 45. I can't wait to read more of your blog and go back to old posts... I too "run" (walk) for sweets! I am so happy to know there is another one of "me" out there. I think I'm in love with you! LOL. You're awesome! Like so many others I am sure, I am grateful for you bravery in posting on your experiences with bingeing. Thank you. I've been reading for awhile, but have yet to comment, but this post just resonated with me so loudly that I couldn't wait to say THANK YOU for your honesty and for helping me feel like I'm not alone. I was just reading this post in the middle of a binge myself. I bought some chocolate chips at the store under the guise of making some "healthy banana chocolate chip muffins" with and for the children. (I cannot keep the chocolate chips in the house like a normal person b/c I totally eat the bag without ever doing the baking I was intending to do!) Anyways, I decided to pass on the baking for now because I'm tired and would rather do it later, but that didn't stop me from cracking open the bag and I started shoveling them in by the handfuls. Seeing the pictures from Dr. Oz's show and hearing your account made me stop in my tracks. I plan to bookmark this post and refer to it whenever I'm feeling weak. Thanks again--I really appreciate your honesty and transparency. Thank you Katie, it's brave and selfless of you to post that - it's a battle that many of us relate to - I too have had some shameful moments with my food addiction (and when I smoked - cigarette addiction.) But your honesty can help to support and inspire others. I am so glad you posted this! I don't have kids but everything else you mentioned I completely relate to. I use to hide things from my roommate all the time. I would stop at 5 different fast foods places on my way home when I knew he wouldn't be around. I never classified myself as a binge eater because I didn't want to admit that was me. But after reading your post it's quite clear that I'm in the same boat. I don't do it as much anymore but it's still there. I plan on all the horrible food I can eat and then regret it when I'm laying in bed. Thanks again for posting this. Wow, thank you for posting this! I NEEDED to read this tonight. I feel just like you did--ROCK BOTTOM. I can't get out of this cycle and just don't know what to do. I just had a binge tonight and used "making my kids lunch" as the excuse for me to stay in the kitchen while everyone else was outside. I feel awful and have got to stop this cycle. Thank you for your honesty. There are so many of us out in cyberspace that see you as such an inspiration! Well, shoot. I wrote a more detailed post and forgot to select how to comment and lost it. But basically, I could relate to what you talked about and it helped me tonight. Thank you. Thank you for sharing. Even though I don't post often, you are a woderful inspiration, your honesty and commitment to your blog is refreshing! This blog came at an appropriate time for me. I've been reading your blog for a long time now and I noticed you have issues with depression and anxiety, and I do as well. For a long time things will be fine, and then suddenly I get in this funk. This happened this week and for a few days I was ok with eating, and then suddenly I just wanted to eat. Yesterday and the day before I ate a lot, and felt like crap. It was the first time in a long time I'd done that and I felt out of control. When I watched that show today, I felt so bad for those women, and I understood how they felt. Even though I've lost almost 150 pounds, I still have this urge sometimes to just eat until I feel stuffed. I can control it most of the time, but other times I feel like I can't. I can relate to wanting the kids in bed so you could eat. I never did it in front of my kids, but once they went to bed I would eat more than I had all day. My binges are also not as bad now as they were, and a lot of the food ends up being somewhat healthy. Thanks for sharing this. I think a lot of people are ashamed to admit these things, but it helps other people when we do. Thank you for sharing this. I know that people say this but I always felt that no one would understand - I was the only one who felt this way. Especially the part about planning a binge. I sit at work thinking about what I will buy after work to eat that night. My children are older now and I only have my 16 year old son at home. I plan these nights when he is at practice and I have the house to myself. It helps knowing that I am not alone but I have still not been able to make the connection with my logical "I need to eat healthier" side and my "I don't give a crap, I have to have it" side. I hope one day soon I'll figure it out. Thanks again. You are an inspiration. There is absolutely no reason for you to be ashamed, because like another poster said, these experiences and trials helped form you into the person you are today. Thanks so much for your bravery. I run and work out several times a week. I look pretty athletic. If you looked at me, you wouldn't think that I had issues with food. But I do. I struggle with either binge-eating or compulsive overeating, I'm not sure which. Like you, there have been times when I was happy when my boyfriend decided to take a nap, which meant I was free to pig out in front of the tv by myself. My favorite thing to do is eat out at a Chinese buffet restaurant with my parents, where I'd stuff myself until my stomach could no longer take any more food. There would be days when I'd feel in control. I'd eat within my calorie range. But then there would be days when BAM! that feeling of wanting to keep eating hits. I'd haunt the kitchen, trying to figure out what I'm hungry for, but nothing ever satisfies. In the morning, I'd wake up to a bloated belly and regret. And it's so hard to remember that feeling of regret so that I won't do it again. But I do. I'm struggling. Like it is for so many others, it's a constant struggle. You're awesome Katie! I've been reading your blog for a while and even wrote you once. My family has a hard time understanding "trigger foods." There are things I just don't want to keep in my place or even eat because I know it will cause me to binge. I lost a lot of weight from 2008-2009; 108lbs. I was able to keep most of it off for a little less than two years until recently. In total, I've actually put about 50lbs back on. People always say, "you can cheat this one time and get back on track the next day." It's not that easy. I'm not married or have kids. I am afraid if I don't get my eating under control, I'll never be able to experience those moments. I was doing great earlier this year, but then my father passed away. I'm not using his death as an excuse to eat my feelings, but it just doesn't help. I hang out with a lot of people who just don't understand it and like to say as well, "you only live once." It's a total head game, binge eating and food in general. You make me want have the determination you have. I haven't given up. I feel like I need to re-teach myself how to eat, and definitely, set smaller goals. I live too much in the past of what I used to look like. I need to focus on the now and reading your blog helps so much. Appreciate your honesty about what it's really like. I know I'm not alone. Katie, I have felt this way exactly but have never been able to describe it even to myself. I am even ashamed to admit that I have done the same thing you did to your kids... hurrying to put them to bed so I can eat... and getting angry cause they want me to read a book and are delaying my binge. Last night I felt a binge coming on... my twins turn 2 this week and my husband and I justified buying a huge chocolate cake from cosco and we have been eating it all week... cosco is far for us and we had not had that cake in forever... see how I rationalize my negative actions. Anyway, I wanted to just eat the whole cake (what was left was about half) and be done with it so I can "finally" get back on track. I stayed strong and got a slice of honey wheat bread and 1 tbsp of peanut butter instead. That seemed to tame my urge to binge and I felt so much better this morning that I had stayed within my calorie range... thanks for your words, they offer encouragement and a sense that I am not alone in this battle and struggle to become a better me! Thank you so much for sharing this. I have learned so much from all of the posts you have done with regards to binge eating. This describes me. I never really knew before what to call this, but off and on at different times in my life I have had a binge-eating disorder. Here I am, 38 years old, and I never really had a name for it 'til now. Or that is was an actual 'condition'. I grew up with obese parents. My mother, particularly, I realize now was a binge eater. She has never had a healthy relationship with food, and I realized after I had my first 2 kids that I didn't either and I didn't want my daughters growing up with the same issues I had. so I have been working for the last few years trying to learn and change and teach my girls what healthy and confident means, since I NEVER was shown or taught that growing up. I went to WW after my second was born and that got me started on this journey. I have since added 2 more daughters to the crew and I am still working and learning, and hopefully teaching them to just be healthy and happy. Your posts have really helped me a lot in understanding what I struggle with and how to deal with it better. You are awesome! Thanks for sharing your life and story with all of us! This was a great post. Thanks for sharing your honesty and in that honesty you make people not feel alone. I know I will always struggle with wanting to binge. I lost 60 lbs and some days I feel like I'm holding to that weight loss by a hair. I used to do everything you mentioned in your post, minus the kids part. I remember once stopping at a fast food restaurant, on my way home to have dinner with my husband. I would always get a cheeseburger and small fry, but I would eat it so fast that I almost choked on the food. I would then take the bag and dump it in our trash bin making sure it was under something. That fear of being "found out" the shame, it was a cycle. After I lost the weight I started to develop other issues w/ food, I started getting back old habits of purging, constantly thinking of food even more. The thing is, heavy, thin, it doesn't matter, the issues will follow you. There is no magic formula that will make you happy if you suddenly are thinner. I started therapy and the one thing that helped me is that before every binge, I would write down why I wanted to binge. How I was feeling. At first it was hard b/c bingeing almost felt mindless. What I realized though is that I was trying to fill a hole that would never be full. I was lonely, sad, depressed, anxious. Food will never satisfy that. Momentarily maybe, the fullness, the mindless act of eating, it distracts you but then the cycle starts over and the shame and remorse make it worse each time. Journaling didn't always help, but it was a promise I made. If I binged after, so be it. I definitely helped me cut down on the behavior. Again, thank you for your honesty. I think it's important for people to realize that bingeing isn't about the food. It's about emotion. For most of us it's about trying to help with anxiety and/or depression. I strongly encourage people that experience this to reach out for help. Even overeaters anonymous can be helpful, but if you can afford it, go to a therapist. It does make a difference, it can get better. Reading this post and then the comments has left me teary and with a profound sense of recognition. I've NEVER thought of myself as a binge eater, but reading that journal entry slayed me. I am. I am a binge eater. I'm working on that now, without ever acknowledging it. I'm tracking, I'm making good choices, I'm exercising. But the way you described your state of mind, the planning, the hiding, the irritation when the binge was delayed...it all felt eerily familiar to me. Oddly enough, just saying this truth is going to help, I think. I've known I've had a problem with food for a long time, even acknowledging the addiction. Now, I can call it what it is and deal with it accordingly. Thank you do much for your honesty - you're writing my story too :) 6 days clean eating - high lean protein/low GI carbs, no sugars and I feel great!!! Though for me, once I introduce 'just one won't hury' sugar or carbs and spiral out of control. Wow. I'm do amazed. I don't have kids, but everything you described in your binge rings true to me. Its so shameful and something so many can't understand. Thank you for being honest and providing inspiration. I feel like I could've written part of that post... At least the part about the binges and the feelings associated with them. Even living alone, I'd try to hide my binges because I didn't want visitors to stop by and "catch" me. You're very brave in sharing that, and at the same time I bet it was a little freeing for you. Isn't it amazing to see how far you've come and how much you've not only changed your lifestyle but your way of thinking too? I know I still have my difficult moments and have times when I could very easily binge (but luckily have nothing to binge on!) but more times than not I find an alternative to a binge. I grew up in a physically healthy family, never had a weight issue. When I became an adult, tho, I began to binge to deal with my feelings. I can relate to this post. I struggle to replace that behavior with better reactions, and to lose weight. Vicious circle. Thank you for sharing your journal entry...I could have wrote it myself. I really admire you for overcoming the binge eating as it is what I struggle with daily and I know how incredibly hard it is. Thanks for sharing. I could have written your post, as well. I have been binge eating for about a week straight, and I just feel so horrible about myself. :( Earlier today I realized that I shoveled food into my mouth for over an hour straight. Twice this past week I ate so much that I almost threw up. I very rarely go to bed with my husband because I want to stay up and eat the bag of junk food that I have hidden in the car. I'm not even overweight (5'9" and 150 pounds), but I constantly struggle with binge eating. It's great to hear that you overcame your struggles! I just found your blog today and it is encouraging for me to read things that you have written. I have struggled with my weight my entire life, and even more so recently. Although I don't binge eat daily, I do struggle with it. So many things that I have read on your blog just today are things that I deal with. I hope that I can make this work for me and lose the 30 pounds I have added on over the past ten years. THANK YOU for posting that. You have nothing to be ashamed about, it really helps me that you shared your story. I found your blog a few days ago and read a ton of your archives yesterday. This post really stuck with me. I remember bingeing in 3rd grade most days after school. I was alone and lonely and food filled me up. That stuck with me for a long time. I had 3 babies in exactly 3 years and I can TOTALLY relate to getting mad at them because they weren't napping and this was my binge time. Then I had 3 more babies over the next 6 years. Every time I got in the car alone I went through the drive through and ate as much as I could. I lost 38 pounds with WW in 2006/2007. I don't binge as often anymore. But I had a small binge yesterday just before I read your archives for an hour. I really forward to reading more of your stuff. That was very brave of you to post, and very helpful and inspirational to others, thank you! Thank you so much for posting this. It was so scary and sad to read a lot of my own thoughts and behaviors, but your success gives me some hope that I won't be like this forever. Thank you again! I know this is an old post but I just read it and am so amazed by your courage and honesty. I am a former binge eater as well- I have since recovered and am in a much better place but I know these feelings all too well. I wrote journal entries very similar and cringe when I look back on them. I think it is so amazing that you are strong and confident enough to share one of your lowest points. You ARE helping and inspiring more people than you could possibly know. I commend you, girl! This is me. Word for word. I have had short term successes, but nothing long term or lasting. I look forward to reading your blog. I appreciate your honesty and forthrightness. It helps. Thank you for sharing your story. 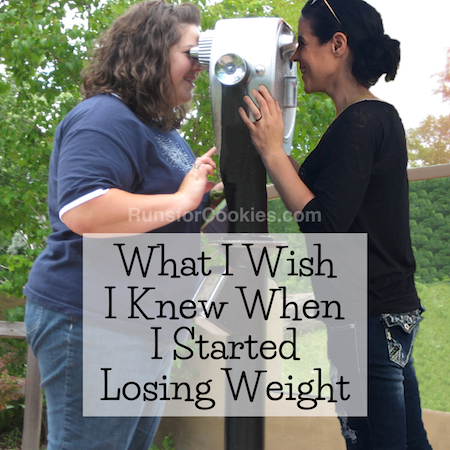 I just discovered your website today and when I read this post about binge eating, I cried. You described my days word for word. I honestly thought that I had to be the only person that actually wants that super-full feeling. Just reading your experiences on here makes me feel more hopeful that I can get on top of this issue. I am 47 years old and still dealing with it, along with depression. 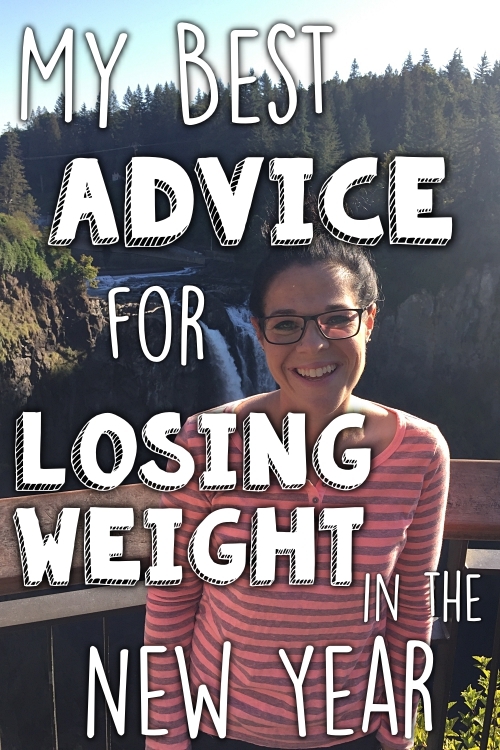 I appreciate the link to your strategies for dealing with the binges. I've been telling myself that until I figure out why I do it, I won't be able to stop, but since I don't have a clear-cut answer for why, I am encouraged to read the strategies that might help anyway. I noticed in reading your entries that at some points you were doing Weight Watchers- I am too and after trying a million times I am finally almost to my goal weight. I do still slip up and binge but not as badly as I used to. Thank you for sharing your experiences! I am just re-reading this now. I have lost the weight too! I just want you to know that blogs like yours (I have read yours through most of my 100 lbs weight loss) really keep me determined to stay healthy. I too still have binge episodes. They are much less frequent but sometimes I feel really alone. I really enjoy reading about your life and your tips for overcoming yours struggles. Recently I had a friend who came out to me about her eating disorder. It really helps to be able to relate to someone in person too. Thank you for posting this. This describes my behaviors so perfectly, you'd think I wrote it. I stumbled upon your blog tonight and I feel like it was meant to be. I've been putting together a game plan over the past week or so because I need to commit to a change. This blog is so inspirational and basically everything I hope to achieve. Thank you for being so candid. You are truly making a difference. You are awesome! I just realized that binging isn't normal behavior; I thought that everybody else had mastered how to deal with it except me. It is so encouraging to hear that it is possible to conquer this. Thanks so much for sharing! Thanks for the post. The graphic image of the person who passed away from the binge was a real eye opener. I know myself that after a binge, how much discomfort I have, to the point that I cannot even fall asleep. I can also relate to waiting for people to go to sleep so that I can binge. Even worse for me, is that I have noticed that many of the sites and treatment centers for binge eating and eating disorders in general are or appear to be mainly for women, which leaves me feeling quite uncomfortable as a man, meaning I feel very out of place and not proud of all of battling binge eating. It is not something that I can admit, though I am doing it right now, and not even sure why. Perhaps it is because I feel that it will ruin my relationship if I do not have it under control. It is probably hard for anyone to believe how binge eating can wreck relationships, but I have already experienced it once in divorce and I can see how it could lead to more discord. Yesterday due to a binge, I was in a pretty distressed and depressed mood, that was not good. Binge Eating is not something that I can bring myself to admit to the woman that means everything to me, it is just not something that I have ever heard men talk about. Drinking yes, smoking yes, drugs yes, but I have not heard of men who are trying to kick the binge eating disorder addiction. So, I usually look around in secret at these blogs and yours is great motivation, I just hope I can figure it out for myself, how to deal with it, I have been battling this for a long time and had some success in dealing with binge eating disorder in 2012 that I wish I can follow again, I hope that I can get back on track before this causes any more havoc than it already has. 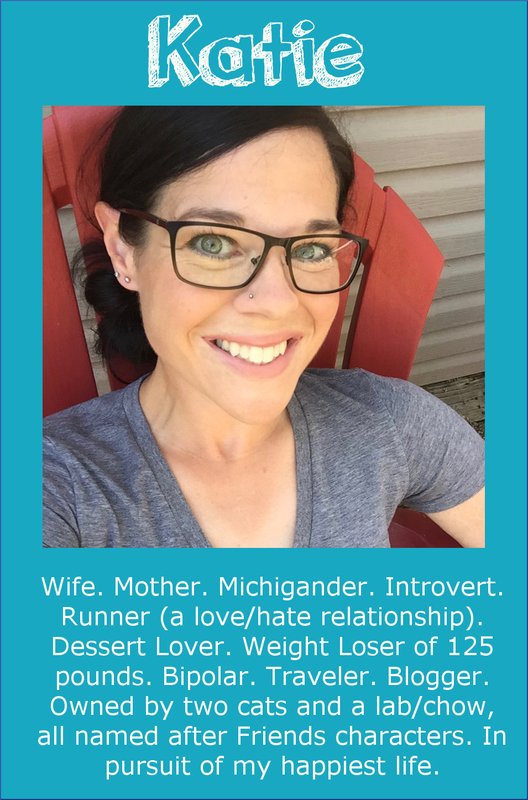 I can trace family estrangements, divorce, career loss, depression, all to binge eating. Depression and binge eating is not something that I feel even good about telling a doctor, let alone anyone else, so your blog is a great resource for a person who keeps the issue under wraps, though I am getting closer to being more transparent about it. Thank you. I just found your blog tonight. I could have written that journal entry word-for-word. Thank you for sharing. I just found your blog via the From Fat to Finish website. You are incredibly brave and generous to share your very personal feelings here. I can really relate to this post. Thank you thank you for sharing. I just read your post & could totally relate. Congratulations for finding a way to take control while your still young. I did the same thing while raising my kids but I'm in my late 50's & still struggling. That's how I found you...I had googled former binge eaters! Thank you for this post and the other two you've written that bare all.